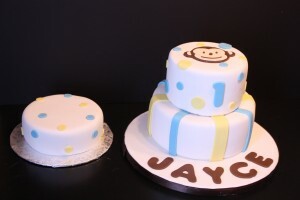 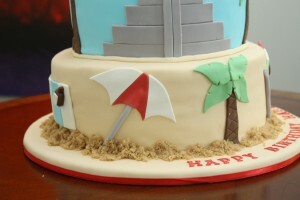 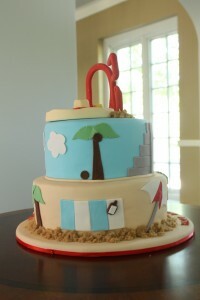 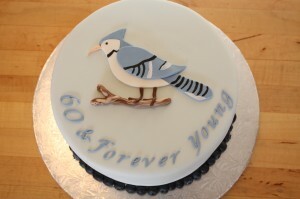 This cake was created for a little boy named Jayce’s first birthday party. 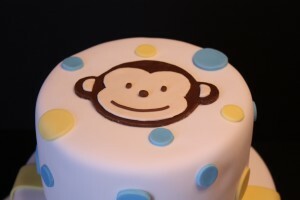 The popular mod monkey design includes the signature blue and yellow highlights. 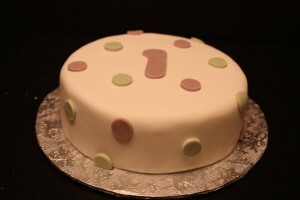 I also included a matching smash cake below. 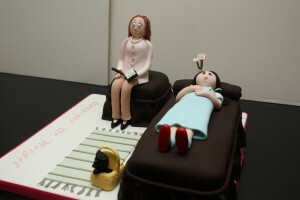 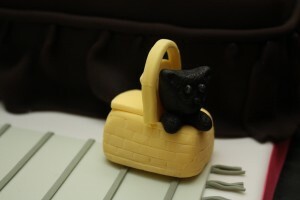 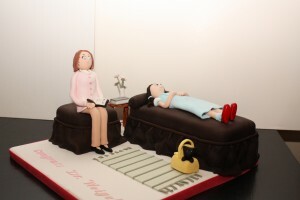 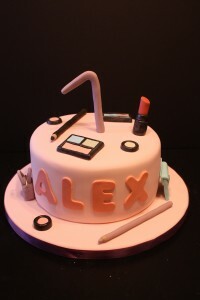 This cake was created for a seven year old named Alex. 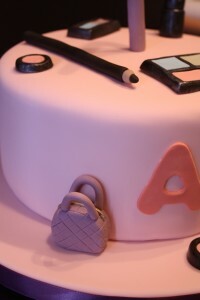 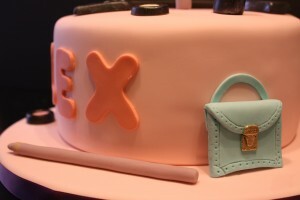 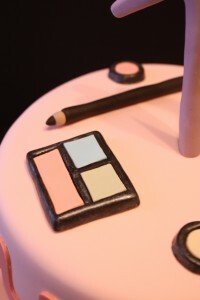 She wanted a girly make up cake with edible make up and purses and a purple “7″ in the middle. 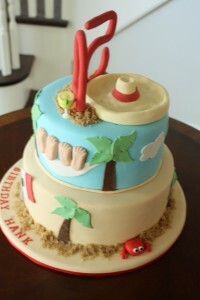 Everything you see below is edible. 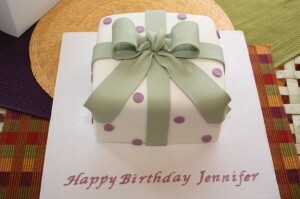 The cake was pink too, strawberry cake and strawberry buttercream. 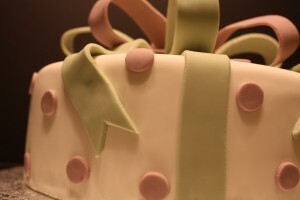 This purple and green gift cake was created for a little girl named Bailey’s first birthday party. 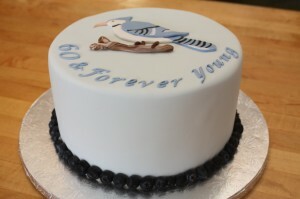 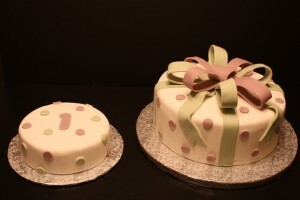 Both the gift cake and the matching smash cake were made with vanilla cake and vanilla swiss meringue buttercream with vanilla flavored fondant. 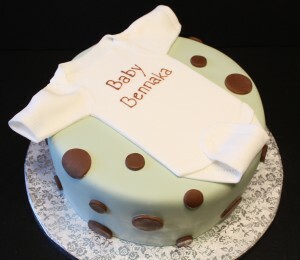 This cute little onesie cake was made for a baby shower. 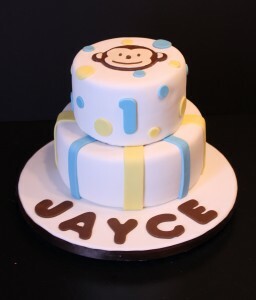 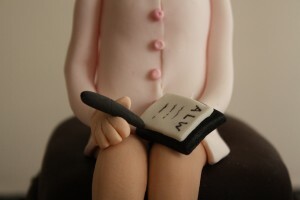 The onesie is made from vanilla flavored fondant. 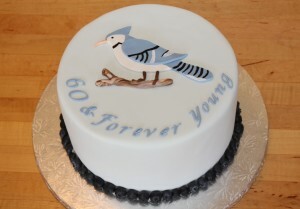 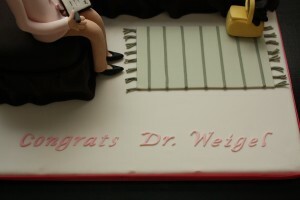 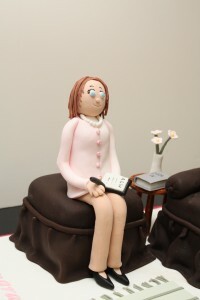 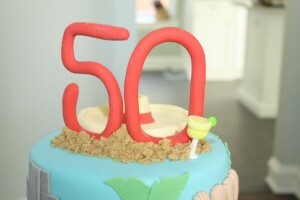 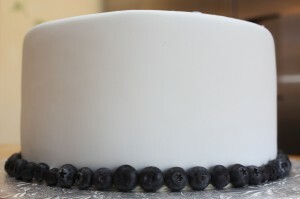 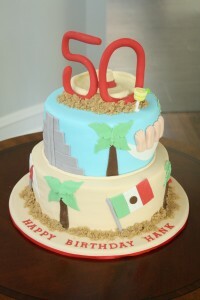 The cake was chocolate with vanilla swiss meringue buttercream.